Just a few weeks after launching the Nexon AMT XZA+ at Rs 9.41 lakh and 10.38 lakh for petrol and diesel respectively, it seems like Tata Motors will launch the Nexon AMT in more variants as well. According to a leaked certification document, the XMA and the XZA are the two variants that will be introduced in the Nexon. Since these variants will be relatively less feature-loaded than the XZA+, these will be more affordable as well. As the name suggests, these variants will be based on the XM and XZ variants of the Nexon (manual transmission). These are likely share their equipment list with the corresponding manual variants as well. So expect the XMA variant to be equipped with features such as LED tail lamps, 4-speaker ConnectNext Harman Kardon infotainment system with Bluetooth and steering mounted controls, dual front airbags, ABS with EBD, rear parking camera with sensors, all four power windows and electrically adjustable ORVMs. While the XZA variant will get features such as projector headlamps, 6.5-inch touchscreen Harman Kardon infotainment system with Android Auto, rear parking camera with dynamic guidelines, day/night IRVM, automatic climate control with rear vents, height adjustable driver seat and electrically foldable ORVMs over the XMA variant. The image of certification only confirms details of the diesel-powered Nexon AMT. 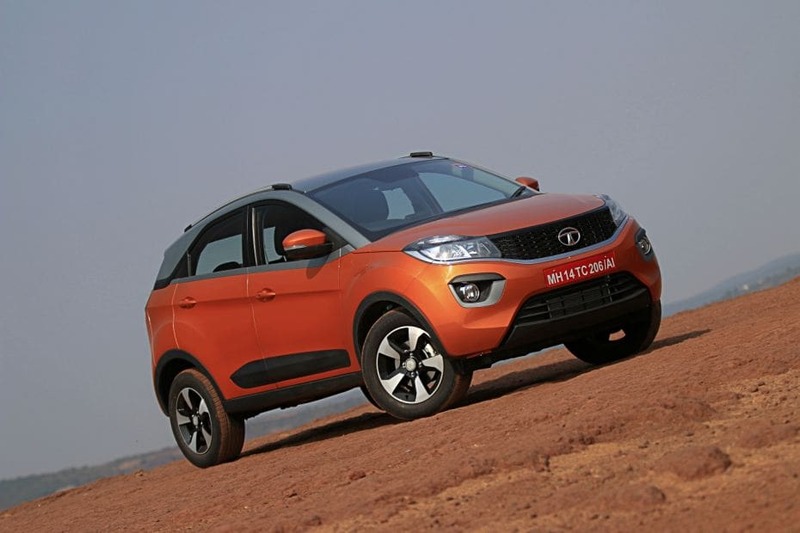 However, we expect Tata to launch the XMA and XZA variants of the petrol-powered Nexon as well. Going by the pricing of the XZA+ variants (petrol and diesel), which are priced at a premium of around Rs 70,000 to Rs 80,000 over the respective manual variants, we expect the upcoming XMA and XZA variants to carry a similar kind of premium as well. And if this happens, the XMA variant will get a price tag of about Rs 7.50 lakh and Rs 8.53 lakh for petrol and diesel, respectively. While the XZA variant will see a sticker price of Rs 8.58 lakh and 9.68 lakh for petrol and diesel, respectively. These upcoming new variants of the Nexon AMT will not only make the Nexon a more compelling package but will also help it to take on its arch-rival, the Vitara Brezza AMT better. Maruti recently launched the Vitara Brezza with an AMT. It is available in three variants: VDI, ZDI and ZDI+, which are priced between Rs 8.54 lakh and 10.49 lakh (ex-showroom Delhi).